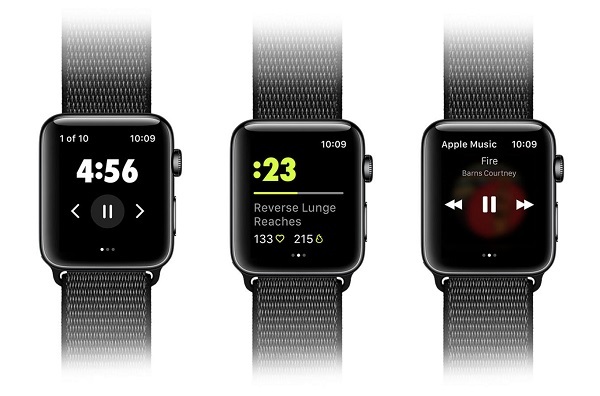 Nike Training Club app arrives on the Apple Watch. Today Nike Training Club app released on Apple's App Store for the Apple Watch.The Nike Training Club app for Apple Watch supports all 180+ workouts currently available on the Nike Training Club (NTC). The NTC is one of the smartest training tools available with more than 180 free workouts - from strength and endurance to mobility and yoga featuring the expertise of world-class Nike Master Trainers and elite Nike athletes. The Nike Training Club app on the Apple Watch allows for easy check of time or reps remaining on a drill. It also delivers haptic prompts, which signal the beginning of the next drill and run until the workout is complete.